MINGACHEVIR, Azerbaijan — For two long years, Gulnar, 14, was unable to continue her education. The distance between her home in rural Azerbaijan and the nearest school was just too far. But then her brother went away to do his military service, leaving behind his old bicycle. Gulnar spent three months trying to persuade her parents to pump up the bike’s tyres so she could cycle around. Once they did, she realized the power of that simple bicycle: it could make her long road to school short. “The faster I pedal, the more aspiration I feel in achieving my goals,” Gulnar says. 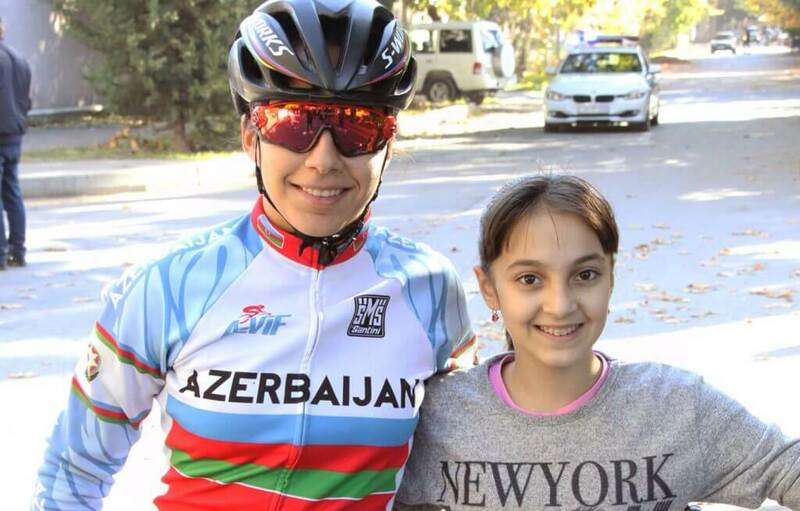 Women and girls around Azerbaijan are learning how bicycles can help gain them better access to education, healthcare and employment — essential elements in ensuring gender equality. “Bicycles have long been used as a tool of empowerment, and this continues to the present day. When denied equal rights and opportunities, women fight through rough terrain and create their own paths,” says Nur Akhundlu, head of the “Ladies on Bikes” cycling club, which has partnered with UNFPA to encourage this trend. There is still a long way to go to achieve gender equality in Azerbaijan, where rigid ideas about gender roles are pervasive, according to the findings of the International Men and Gender Equality Survey (IMAGES) conducted by UNFPA Azerbaijan in partnership with the State Committee for Family, Women and Children Affairs. The survey showed that more men than women believe that when women work, they are taking jobs away from men; that women gaining rights means that men lose rights; and that equality has come far enough, or has been achieved already. UNFPA partnered with Ladies on Bikes ahead of the 16 Days of Activism against Gender-Based Violence Campaign in November–December 2018 to promote cycling sports among girls and to link the activity with opportunities to improve sexual and reproductive health. They organized two-day information sessions for rural girls aged 14 to 19 in four districts of Azerbaijan —Mingachevir, Lankaran, Gusar and Bilasuvar — where gender-biased attitudes have been found to be particularly prevalent. 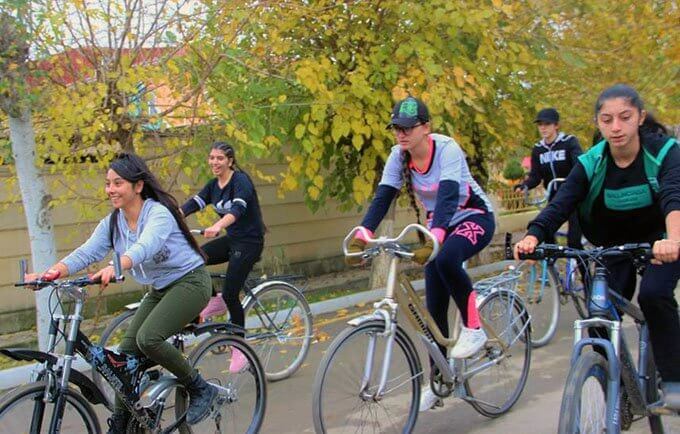 During the UNFPA-funded sessions, the girls learned theoretical and practical cycling skills from Ladies on Bikes’ mixed team of professional physicians and athletes, while representatives of UNFPA shared information about how bicycles can be used to enhance access to reproductive health services. 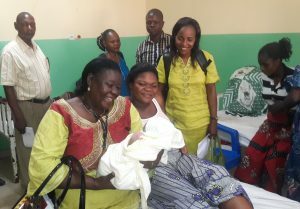 UNFPA also provided contact information for Family Support Centres that assist survivors of gender-based violence. At the end of each session, participants took part in a five-kilometre bicycle race through each region’s city centre to further raise awareness about cycling. Despite the ongoing challenges, there is an increasing number of girls in communities like Gulnar’s who have found cycling to be a safe, convenient way to travel without a chaperone, thus transforming bicycles into a symbol of female freedom. A version of this story originally appeared on the website of UNFPA Azerbaijan.